The betting pick of the day! 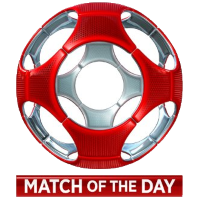 The match (prediction) of the day! “The Match of the day” is the best prediction that we recommend you to bet on! Every day we look and analyse about 30 different events and the pick that you’ll find here is the best one of all. If you’re searching for the best pick of the day you’re in the right place! Soccerpunt.com is the only prediction service that manually analyses soccer games! To add more value to this, everything that you can find on our website (picks, tips, previews, betting analysis, etc) is free and will stay like this. No hidden costs, no credit cards wanted. Our betting picks are pure passion and love for soccer and bets! Our history since 2010 shows that we gave more than 80% winning picks on this page! That is one loosing prediction in five! We have some amazing results as our whole team gathers everyday for this tip. You can see the latest betting tips below! PLEASE SEE BELOW THE BEST BETTING PICK FOR TODAY!